The Official Practice Ball of the ESPN Ultimate 9-Ball Challenge and The #1 Selling Practice Ball in the WORLD!! Unlike a standard cueball and object ball, Practice Balls give you immediate visual feedback on every shot. You won't have to spend hours trying to get a 'feel' for how the balls are rolling, sliding or spinning. With Practice Balls you'll see it immediately, which means you'll learn faster and easier. 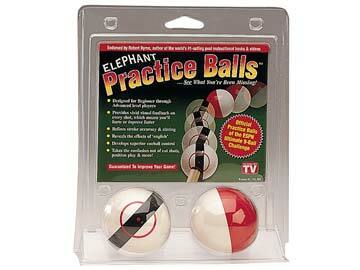 The Practice Cueball comes with a black band, 'contact zone' and center spot. The black band reveals off-center hits by wobbling when positioned vertically. Turn it horizontally and you can actually see the dramatic action of draw, follow and stun shots. The red 'contact zone' marks the farthest point from the center you can strike the cueball to generate useful english. Contact outside the zone is likely to be a miscue. Use the center spot to check stroke accuracy. Hitting center ball is an important shot that can be very difficult. Your chalk mark on the practice cueball will show you where you really hit it. Try it! The chalk won't lie. 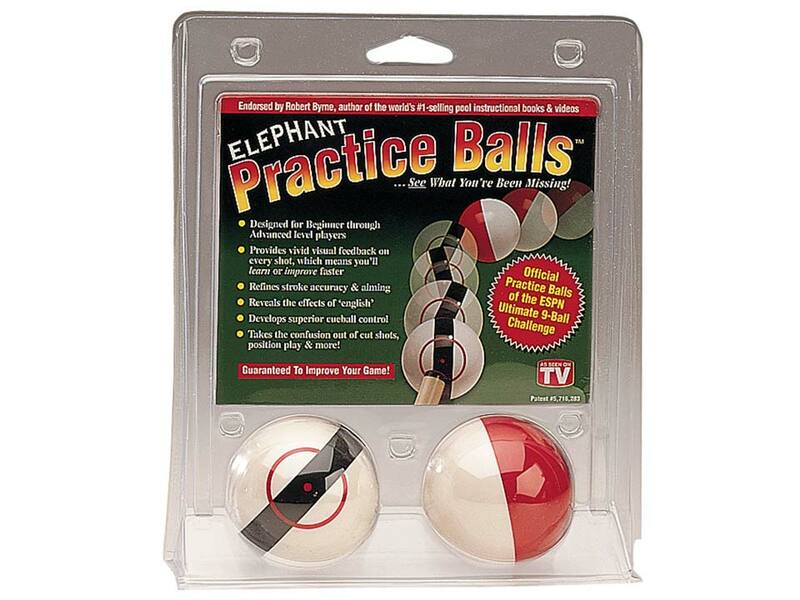 The Practice Object Ball reveals how english on the cueball affects, or transfers to, the ball you are hitting. This ball is ideal for understanding 'throw', which can cause you to miss perfectly lined shots time and time again. These topics and more are covered in a Lesson Booklet designed to guide you through basic to advanced level techniques at your own pace.